Former Nigerian Minister of Aviation and spokesperson to former President Goodluck Jonathan was acquitted today of money laundering charges by a federal high court judge in Lagos. 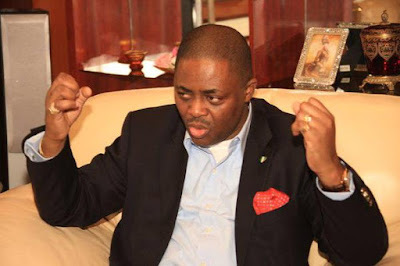 Mr. Fani-Kayode had been accused of stealing over N100million during his tenure as minister for aviation. The verdict was read by Justice Rita Ofili-Ajumogobia in a packed courtroom in Ikoyi Lagos. Mr. Fani-Kayode arrived the court premises today without the horde of policemen that accompanied him to a nearby 5-star Wheatbaker hotel last night.